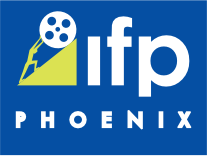 Phoenix- A few weeks ago, we had the pleasure of sitting down for a conversation with author, writer and director of the critically-acclaimed novel and film “The Perks of Being a Wallflower”, Stephen Chbosky. Some of Chbosky’s earlier works include the independent film, “The Four Corners of Nowhere”, the TV show “Jericho” and screenwriter of the film adaptation of the musical “Rent”. PFF: I finished reading "Wallflower" right after the screening and, wow, it packs an emotional punch. How was the process of writing “Wallflower” for you and the responses you get from readers? SC: I wrote the book for personal reasons, and it is a privilege to have this experience. You have this thing, it gets published and you hope that people read it, so that they don't feel so alone. The most beautiful surprise is that you have these moments where you connect with people on a deep level without saying a word. It’s one of those wonderful things that you get what you give, and I'm grateful for it. The response I've got from this movie so far is, wow. It’s the dream come true. PFF: After reading the book and seeing the film, the two beautifully complement each other. How hard was it to take some of the heavier material that was in the book and translate that to screen without compromising the integrity of the story for the rating? SC: It was a very, very difficult tone to master and it took a lot of basic, hard work. It was almost like being blue collar about it. [Producer] Lianne Halfon, who has done so many wonderful other films such as Juno, Ghost World and other films, had said that never in her career, she’s never seen a movie that if you change 3 lines, it’s a different movie; and she was right. So what I had to do was instinctively go in over and over again as a result and say is this true, is this authentic, is this right or not? If it’s not, I had to go back and try something else and move it down, inch by inch, until it was the movie that you see in theaters. PFF: It seems like, from a reader’s/ viewer’s standpoint that the whole process was a magical experience the way the process flowed together for music selections. With the mixed tape being a huge part of the film, how difficult was it in getting some of the rights to so many great pieces of music? SC: Music was so important to me growing up and my music supervisor, Alexandra Patsavas, we wanted to share our favorite songs from that era with a new audience and maybe give some of our older viewers a trip down memory lane. But we had a rule: When we were in post that we would play songs for our young post p.a.s and would play them the songs that we loved. There were a few time we were like, “What about this one?” and there would be crickets; they could care less. Then there would be moments where would share XTC’s “Dear God”, something that they were unfamiliar with, and they loved it. I always wanted the audience to know that they have much more in common then they already have. It’s so rare that this happens. The response to this movie so overwhelming, that they gave us whatever songs we wanted. There will be a soundtrack, CD, and vinyl release and the score will also be released! Michael Brooks did an amazing job; he was able to fuse all the songs together. PFF: Do you still have a lot of mix tapes? SC: I do. I don't throw anything away. I have all the mix tape, including the one where I got the song “Asleep”. PFF: What brings you more joy – writing or directing? SC: Writing novels and directing. Writing screenplays is incredibly hard. I can’t call it joy. Writing Novels? Joy. Directing? Joy. Writing Screenplays? That’s where you pay all your dues. PFF: Is it because of the after process or the technicality of screenwriting that is difficult? SC: The technicality. Ted Tally who wrote the brilliant screenplay for Silence of the Lambs, he called adaptation “it’s like turning soup back into bullion” and it is so hard to do. The people like him [Ted] that can do it with such ease and such grace, my hat goes off to them; I don’t know how they do it. PFF: After reading about the background on "Wallflower", "Jericho"and "Rent", the fans respond with such passion for these projects. What do you think or feel that can help filmmakers and/ or writers capture that same passion or essence to translate on screen? SC: That is an interesting question. The old cliché that teachers say to their writing students is “Write what you know.” Maybe it’s about going one step further and write what you love? Write with your honest emotion…"Jericho" and "Perks", I can't describe it. Maybe it’s because that shows like "Jericho" and musicals like "Rent" are not made very often, and there is this hunger for these types of projects. I almost feel like if more of these types of projects were made, that perhaps Hollywood would understand that this fan base does exist and would get bigger. PFF: Since this is such a life affirming type of film for many people, what is the best piece of advice that someone has given to you about life? SC: I want to say [my mentor] Stuart Stern (Screenwriter of Rebel without a Cause) It wasn't so much about advice but about encouragement. People, all people, and we can all relate to this; have these things whether its career, art, a person, a friendship, or activity that you want to pursue. So many of us, for whatever reason, believe that we can't do it, believe can't achieve it or even worse, believe that we don't deserve it, even if we work really hard for it. The best encouragement I ever received was from Stuart Stern, in the sense of he was the first teacher I ever met that I felt fundamentally understood, what I wanted to do, accepted me for that, and encouraged me to be just that. The best teachers will always do that. If the advice is simply to respect yourself and follow the path that you want to follow, that would be the best advice I could ever pass on. I don’t know if he ever gave it, but he lived it. I model him, so I owe him a great deal. PFF: I read somewhere that you were working on a project called “The Night Before”. Is that still a work in progress? SC: No, it’s not a work in progress but a very necessary step in making this movie. I don’t think I’ll ever make it. My next book that I’m writing, that I will be making into a movie, will be far better than The Night Before. It’s my very loving tribute to Steven King, who’s my favorite author and I’m incredibly excited to see this side of my work. Be sure to check out The Perks of Being A Wallflower when it opens in theaters starting September 28, 2012.